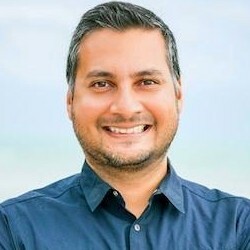 Marketers at companies say they need to focus on personalization and automated campaigns this year, whereas marketers at agencies cite behavioral response marketing and peronalization, according to a recent report from Adestra and Econsultancy. The report was based on data from a survey conducted in February and March 2017 among 1,200 brand and agency marketers (49% B2C-focused, 33% B2B-focused, 18% equally B2C- and B2B-focused) from around the world (61% based in the United Kingdom). 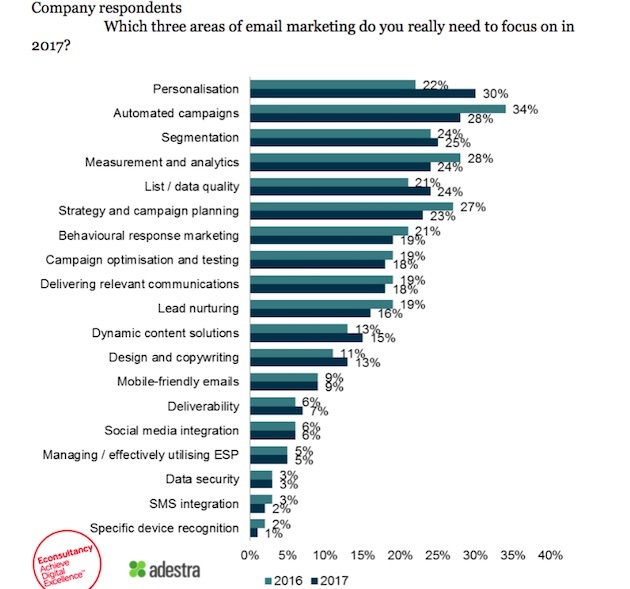 Some 30% of brand marketers say personalization is one of the top three areas of email marketing they really need to focus on in 2017, up from 22% last year; 28% say they need to focus on automated campaigns, 25% on segmentation, and 24% on measurement/analytics.